The stories and glories of African music and its global off-shoots will be celebrated in London from June 29-July 1,2012 when a host of singers and players from both sides of the Atlantic Ocean come together as the third annual Back2Black festival ,the biggest black music festival in Latin America debuts in london. "We want to focus on Britain's history and its deep relationship with Africa. So rather than Mozambique and Angola, we have South African, Nigerian, Caribbean artists,"the organizers said. The festival which holds at Old Billingsgate market ,London will feature several music genres such as funk, reggae, dub, hip-hop, samba, blues,afrobeats and jazz from more than 30 international artists like Nigeria's Femi Kuti ,South Africa's Hugh Masekela, Mali's fatou diawara ,Amadou and Mariam, U.S. R'n'B star Macy Gray and many other international artists. 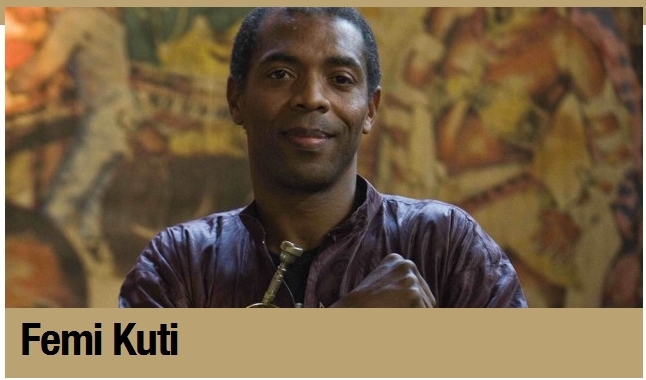 The three-day festival will be hosted by Gilberto Gil, a former Brazilian minister of culture who has held the event in Rio de Janeiro for the past two years and has teamed up with the Barbican arts centre to take the festival to the British capital.